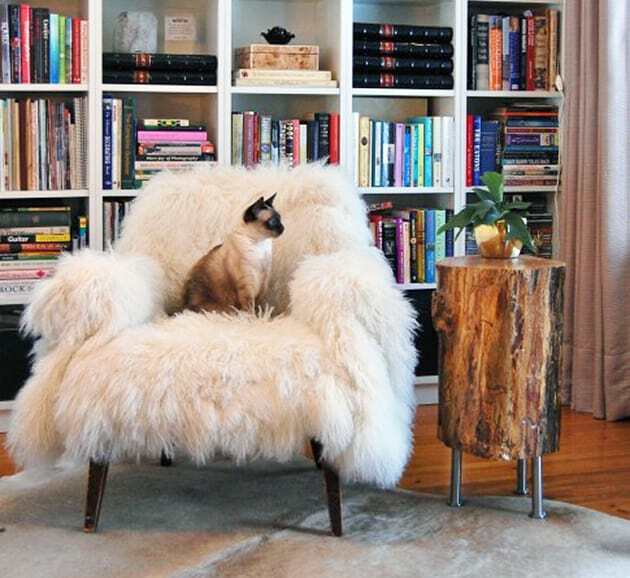 We really like the idea of DIY wood coffee tables. 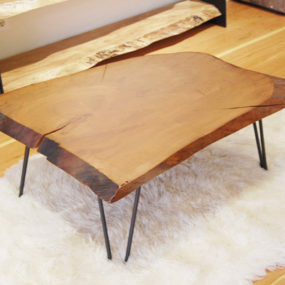 I mean, we love wood coffee tables in general. They really can warm up a space. 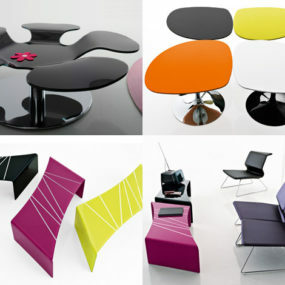 But a table that is the result of a DIY project can be so rewarding, not to mention, a great conversation piece. In the end, it makes us, our wallets and the environment happy, right? On that note, we’re happy to share 5 DIY projects featuring some really great wood coffee table ideas. Make sure to follow the links to get full instructions. 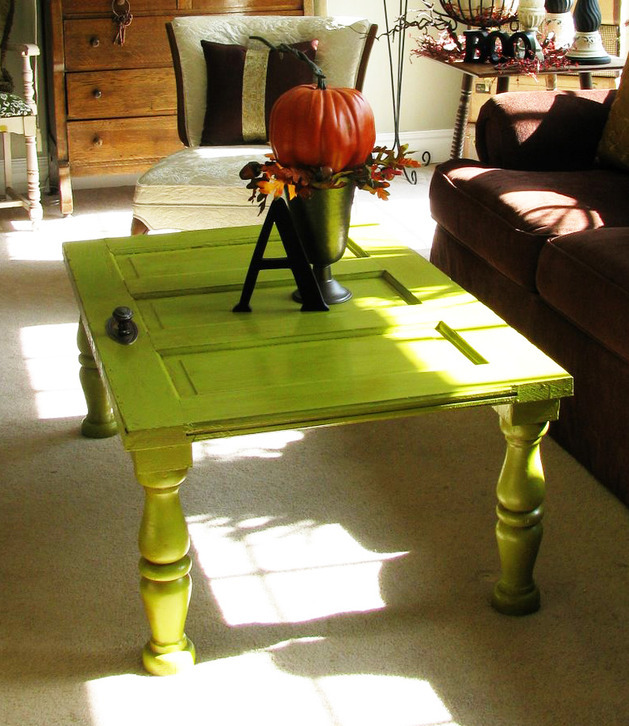 This wood coffee table project is a great lesson in repurposing. The door and the balustrades are both over a hundred years old and have been treated with a stain. Find out more about this DIY project at The Joys of Home blog. 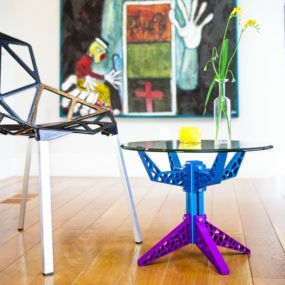 This coffee table is made from an old hardwood plank and salvaged hairpin legs. 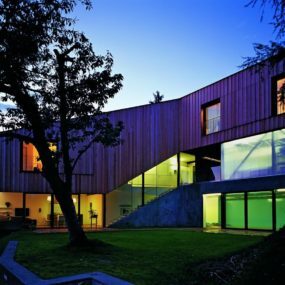 It gives off this sort of vintage/modern/industrial vibe, don’t you think? Visit Hindsvik At Home to find out how to make one – it’s really pretty simple. Here’s a creative idea using some branches and even twigs. 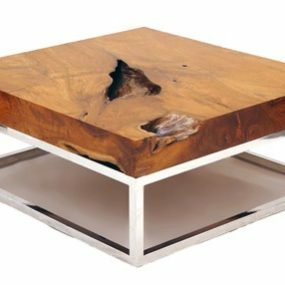 This table is perfect for those looking to creatively inject a little nature into their space. Found via The Style Files. 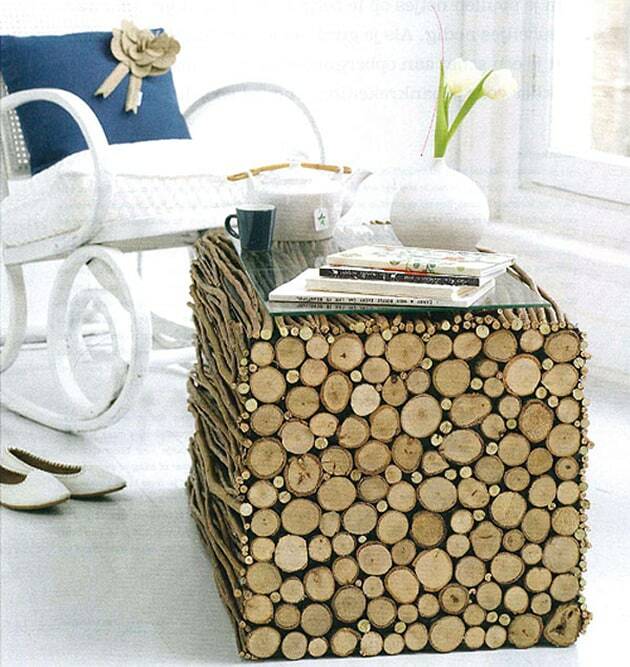 If you have a bigger log lying around, why not finish it nicely and put it on some thin metal legs? 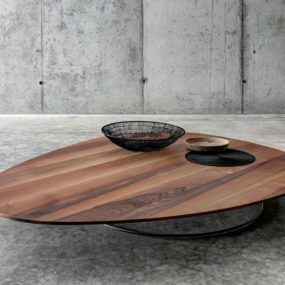 Sure, this is not exactly a coffee table, but it’s such a nice idea and can be easily adapted into a coffee table concept. Just use a thinner, wider stump. Or cut a similar trunk piece in half, lengthwise – the flat part becomes the top … So simple, yet visually, so interesting. 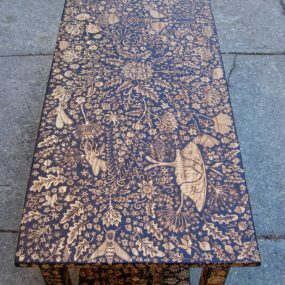 Stop over at The Art of Doing Stuff to see how this table was made. 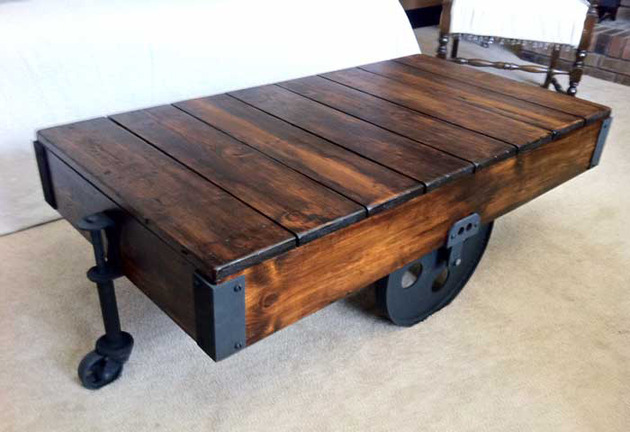 If you’ve longed for an antique warehouse cart coffee table but can’t seem to find one, or the right one, why not try it yourself? This table belongs to Taunnie from Mingled Elements. Visit her husband’s site, Shop N Garage, to find out how it was made. 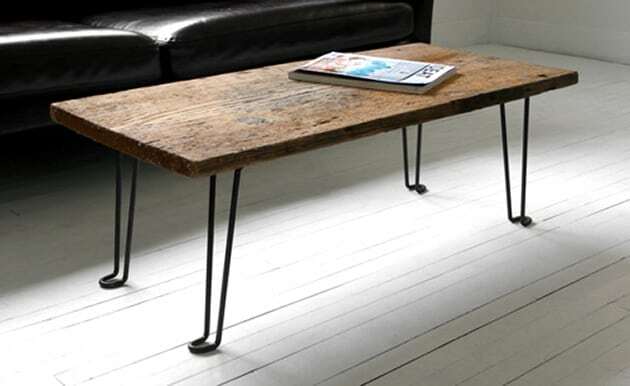 This table would suit a country style setting or even a more industrial type interior. Could be fun!